The Art Garden offers an open studio environment with materials and work/play space for self-directed use by people of all ages. Children, youth, and adults can explore ideas and the creative process (individually and/or collaboratively) in a variety of media. The Art Garden seeks to provide an open studio atmosphere that is friendly, non-judgmental, and accessible: a place for exploration, curiosity, wandering minds and possibility. Resident teacher and visual artist, Jane Beatrice Wegscheider can provide instruction, feedback and guidance (when requested) with various media and techniques (drawing, painting, collage, assemblage, mixed-media, book-making, installation, public art, etc.) as well as aesthetic consultation and critical dialogue relating to the art process. The traditional and non-traditional art materials available include pencil, charcoal, chalk and oil pastels, watercolor, acrylic, ground ink/brush painting, collage materials, fabrics, ephemera, natural materials and lots of beautiful junk for creative re-use in small sculptures/assemblages or larger installations. More expensive papers, canvas and frames are also available by request. 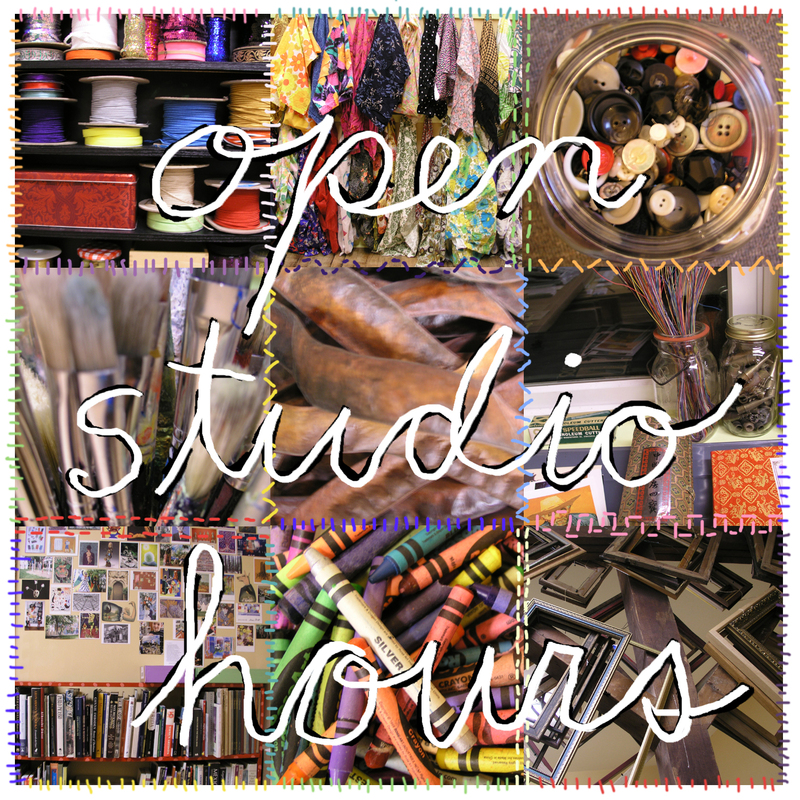 A studio tour and orientation is provided for all drop-in visitors and new members. Please see Hours and Fees for details about current drop-in hours, sliding scale fees and membership rates and benefits. The site is beautiful! I am so inspired….I wish I lived closer. I am a local emerging Celebration Artist and Graphic Messenger…finishing a Diploma Program at the School of the Museum of Fine Arts in Boston, although I live in Conway. I’d love to get on a mailing list or e-mail list so I know what’s being offered…I love that you are doing this…more creative juices for our area! Yeah. Hi- I really appreciate what you are doing. I’d love to visit with my 13 y/o daughter sometime; we live in Belchertown, though. Do I have to join to visit/try art?